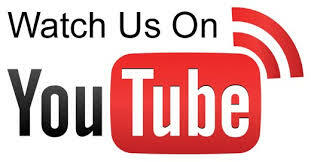 What song do you suppose the Guinness Book of World Records lists as the song “most recognized” in English? It’s none other than Happy Birthday (or Happy Birthday to You). This probably doesn’t surprise you—even tiny toddlers hear the song almost before they learn any other popular tune. What may surprise you, however, is that this particular song is not just popular in English; at last count, it’s been translated into at least eighteen different languages. The melody to Happy Birthday is said to have been written by sisters Patty and Mildred J. Hill, in 1893, under the title “Good Morning to All.” Patty was involved in Louisville, Kentucky’s educational system as a kindergarten principal, while her sister Mildred was a composer and piano player. The melody and lyrics were simple on purpose, composed and intended for use by very young children. Over the years, it’s come out that Happy Birthday to You is alleged to be under copyright—and every time we sing it without permission we’re violating that copyright! It’s tough to prove, however, for several reasons. 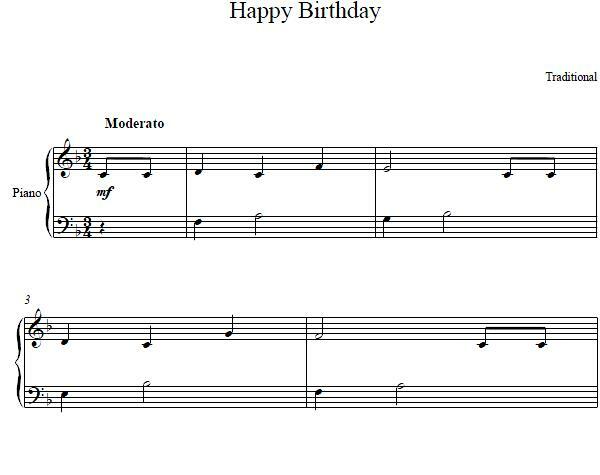 Not the least of these is that the melody and lyrics that we now know as Happy Birthday first appeared in 1912, without copyright notice at all (it’s suspected that the song, even with the birthday lyrics added, is even older than that). Nevertheless, among various companies and individuals who have tried to claim the song are the Summy Company, which registered it for copyright in 1935 with authors Preston Ware Orem and Mrs. R.R. Forman. In 1990, Warner Chappell purchased that company, claiming that Happy Birthday alone was worth some $5 million in copyright. If the 1935 copyright is legitimate as he claims, the rights won’t expire in the European Union until 2016 and in the U.S. until 2030. Since more than a few legal scholars believe that copyright is not enforceable, however, we doubt that you’ll have to worry much when playing this delightful ditty on the piano, whether in public or in private. So if the occasion arises, don’t worry—play Happy Birthday to You and celebrate!